Portret artysty ze zbiorów Towarzystwa Muzycznego im. H. Wieniawskiego w Poznaniu. Józef Wieniawski (b. 23 May 1837 in Lublin; d. 11 November 1912 in Brussels) was a Polish pianist, composer, educator and conductor. He came from a family of great musical traditions. Mother Regina, sister of the highly esteemed pianist Edward Wolff, was his first piano teacher. Elder brother Henryk was one of the most outstanding 19th century violinists and composers, younger brother Aleksander – a singer, while nephew Adam Tadeusz – composer and educator, one of the founders of International Henryk Wieniawski Violin Competition. While still in Lublin, Józef was a student of Franciszek Synek. At the age of ten, however, he began a four-year course at Paris Conservatory (1847-1850), where he studied piano with Pierre Joseph Zimmermann and Antoine François Marmontel, and composition and chamber music with Charles Valentin Alkan. Awarded several prizes in these areas, he completed the studies with the Prémier Grand Prix (in piano delivery and harmony). He further honed his piano technique with uncle Edward Wolff. Józef Wieniawski began virtuoso and composer career alongside his elder brother in Paris as early as ca. 1846. The youngsters performed together as "prodigy children" causing sensation and evoking bursts of applause in concert halls throughout Poland, Russia (ca. 200 concerts in two years), Ukraine, Germany, Austria, Belgium and France (chronology). The brothers’ composition Grand Duo Polonais drew thunderous applause each time they performed it. Józef wrote a number of pieces with Henryk, of which the first was Allegro de Sonate in G minor Op. 2 in 1848. In 1855, however, the siblings’ paths diverged. Józef went on to further his piano education with Franz Liszt in Weimar (1855-56), and polish his composing skills with Adolf Bernard Marx in Berlin (1856-58). In 1859, he moved to Warsaw, where he organised musical matinées and soirées, which – besides himself – featured the likes of J. Hornziel, J. Goebelt, A. Wieniawski (brother), M. Kalergis, M. Więckowska, F. Dulcken, and later I. J. Paderewski. Having moved to Paris, Józef rendered invaluable services to Stanisław Moniuszko in promoting his compositions in France, incl. publication of the latter’s 34 songs by G. Flaxland (Paris, 1862, with French text), as well as Litany of Ostra Brama No. 3 (Echos de Pologne); efforts were also taken to have one of Moniuszko’s operas staged in France. In 1864, Wieniawski moved to Moscow, where he was initially a teacher of the so-called music classes at the Moscow branch of the Russian Music Society, and since 1866, a professor and secretary to the Conservatory’s artistic board. After a year, however, he started private music classes, which apparently attracted ca. 700 students. In 1870, Józef resettled in Warsaw, and in 1871 became one of the founding members of the Warsaw Music Society. In the same year, he gave a concert in Krakow; in 1872, performed in Dresden, and in 1875 played a recital in Breslau. 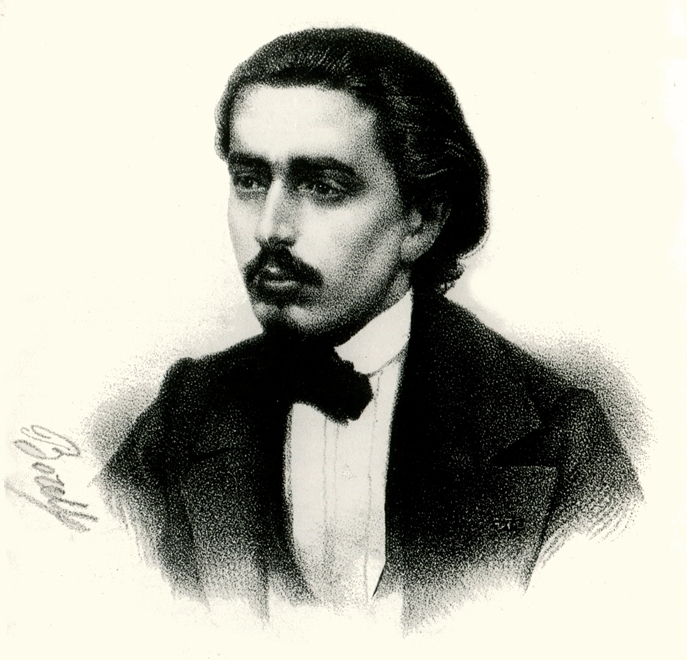 In Warsaw, Józef Wieniawski began intense and wide-ranging activity, in particular, when in 1875 he took the post of the Music Society’s director from Aleksander Zarzycki. He staged symphonic concerts, and managed to attract most outstanding foreign soloists. He took utmost care of the quality of concerts, both of chamber, and of symphonic repertoire. However, after three years of directorship, he did not seek re-election and again left for the French capital. In 1878, Józef Wieniawski assumed the post of piano teacher at the Conservatory in Brussels, where he also successfully staged chamber music concerts at the Palais des Beaux Arts (with Jenő Hubay), and at the Salle de la Grande Harmonie (with Eugène Ysaÿe). In 1889, he married Melania Hilsheimer, daughter of a Dresden banker, by whom he had a son and two daughters: the violinist and cellist Elisabeth, and Marcelle. In 1900, he began a series of his own Séances de Piano. In 1896, in recognition of his lifetime achievements, Józef Wieniawski was awarded the title of Honorary Member of the Warsaw Music Society. He died in Brussels and was buried at Ixelles cemetery. Józef Wieniawski’s composing output comprises piano pieces (incl. romanzas, impromptus, contemplations, idylls, nocturnes, waltzes, berceuses, mazurkas, polonaises, concert and didactic etudes), chamber music (duets, sonatas, a trio and a quartet), symphonic compositions (orchestral overtures, a symphony, a suite, a fantasia, and a piano concerto), as well as solo songs. Fifty-one of his compositions have been published; also surviving are a number of phonograph cylinder recordings. [...] Which of them is a greater champion: Henryk, the violin player, or Józef, the fortepianist? It is a matter truly difficult to resolve. For as long as I could hear Mendelssohn concerto and fantasy from The Sleepwalker which were performed by Henryk’s bow that was full of proficiency and feeling I would have almost praenumerando given him precedence over his as yet unheard brother: however, when Józef seated himself at the piano and played the famous Weber concerto with precision, gentleness and silvery resonance of the keystroke I had been previously unfamiliar with, I was, like the rural nobleman listening to a tirade by two lawyers, ready to say: “that one is right, yet this one here is not wrong, either!” Eventually, the duet of the concertants’ piece with which they concluded yesterday’s delightful evening solved my irksome dilemma as I conceded them both excellence on their respective instruments, and left the theatre thinking Ambo meliores. [..] In Weber concerto and in fantasy from the sleepwalker, Józef, the younger brother, revealed profound proficiency, clarity and confidence on the piano. He is befittingly following in the older brother’s footsteps, with only one obstacle that stands in his way, and that is the piano, which is not the artist soul’s best guide [...].